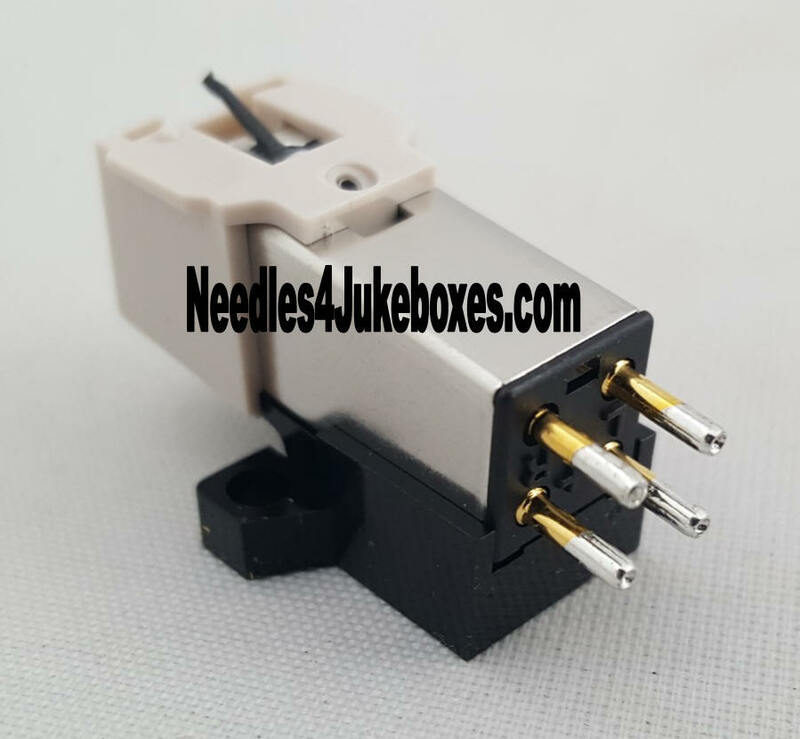 Below is a listing of cartridges that will fit multiple makes and models. This cartridge is designed to replace the now long out of production Astatic #51 ceramic cartridge. A perennial favorite for converting 78 playing "Golden-age" jukeboxes to lightweight-record friendly machines. Available in two versions, one for 45's, one for 78's. 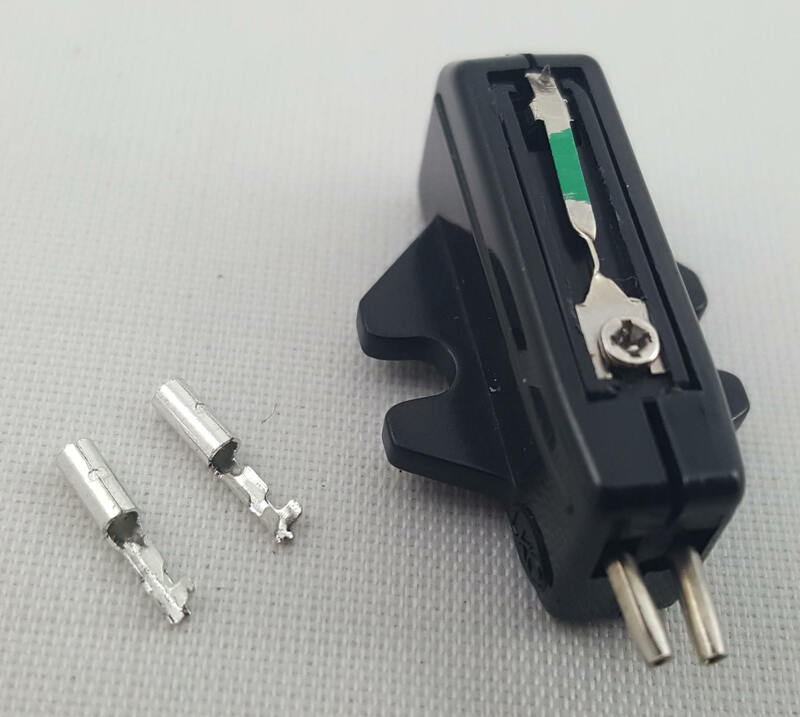 This cartridge is very versatile, it can also be wired with the two sides in parallel for use it in mono machines. The Sonotone 8T was original equipment on the stereo AMI J / K models and all variations (100, 104 & 200 selection) of the Wurlitzer 2300S-2600S Stereo Models. Can be used in any jukebox that requires a ceramic cartridge. The Sonotone 9T was used in all variations of the Wurlitzer 2700-3200 series and can also be fitted the 3300 and later models. 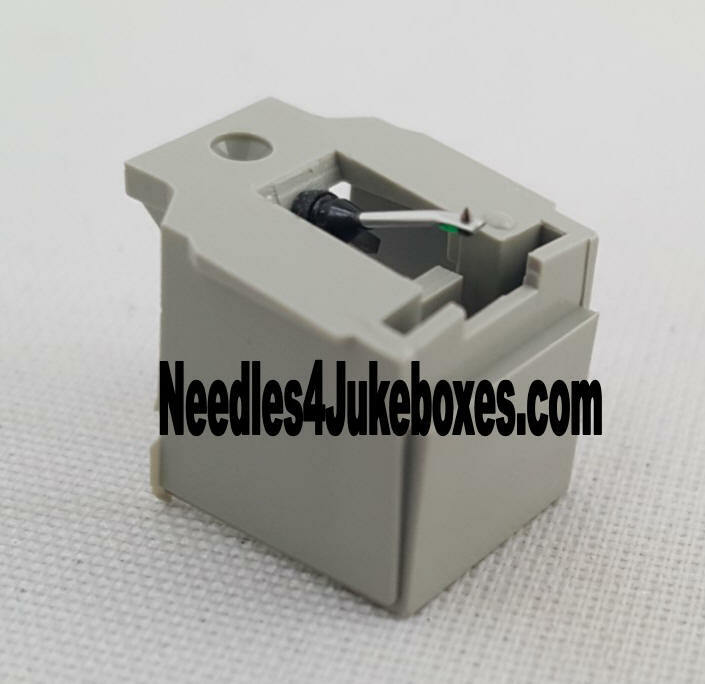 Use it to replace Sonotone 8T, 9T and 52T cartridges found in stereo versions of Wurlitzer models 2300S-3300. It can also be used to replace the Astatic #215 and #133 found in 3400-3800, 7500 or 1050 models.